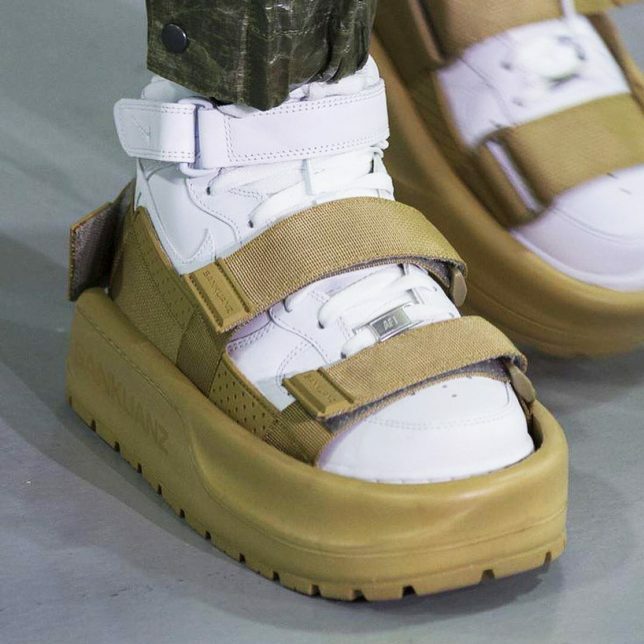 These new Shoes for Shoes combine sandals, galoshes, and, well, shoes, to create a hybrid fashion phenomenon making its way from the runways of Men’s Fashion Week in Paris to a store near you. Apparently, they heard you like shoes, so they designed some shoes for your shoes so you can put shoes on your shoes. 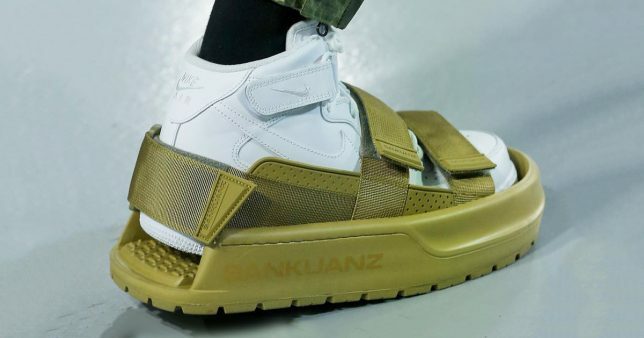 “They’re transformable sneakers that have an outer layer of protective sandal that you can enter Velcro into and you can strap them on or off,” says the company Sankuanz on behalf of designer Shangguan Zhe. 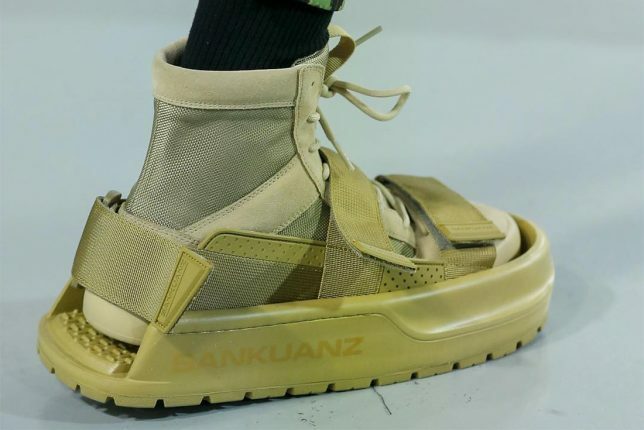 This Chinese fashion layer boasts the ability to protect expensive footwear at a price of $355, which sounds like a lot, until you consider that some pairs of sneakers can cost tens of thousands (or more). “You can walk totally normal in them and it gives you an extra layer of protection and then also height,” boasts the company. 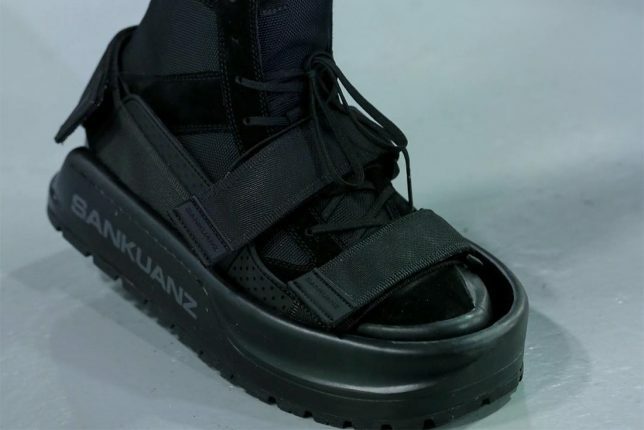 There are certainly precedents for footwear that goes on over other footwear, but whether these can weather the test of time (and retail markets) remains to be seen.